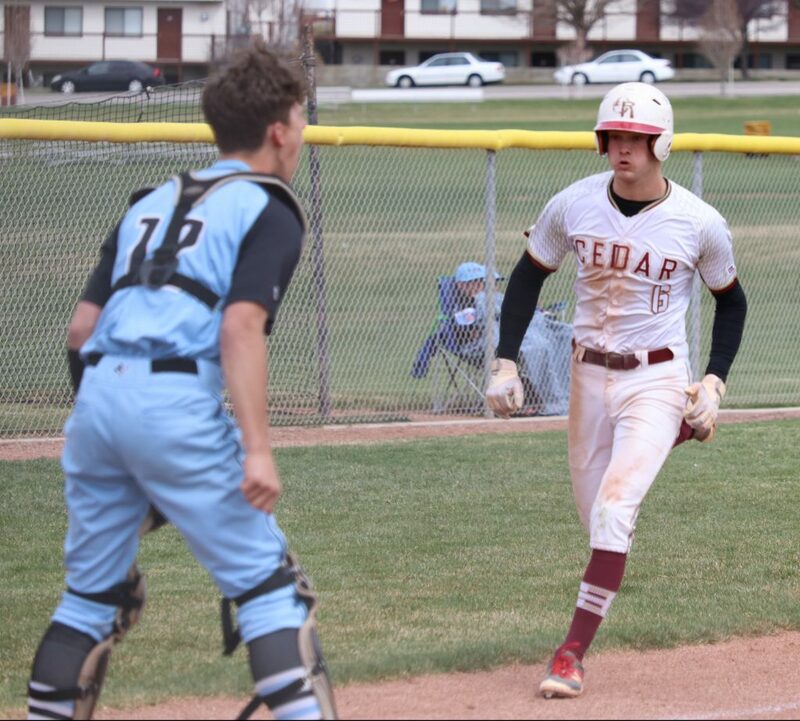 CEDAR CITY — In another close baseball game, the Cedar Redmen beat the Canyon View Falcons 7-4 at Cedar High on Friday, completing the season sweep of their in-town rivals. 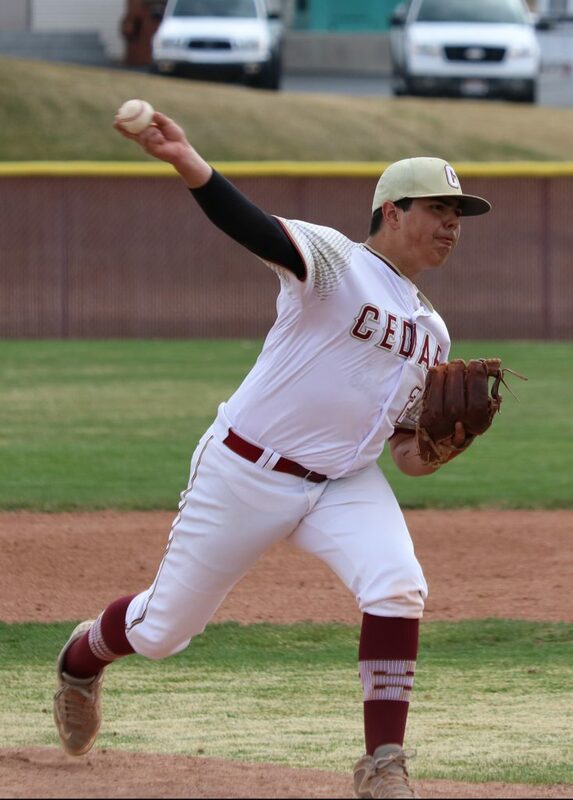 Junior Andre Castaneda pitched the entire game for Cedar, allowing three hits in seven innings while walking three and striking out eight. 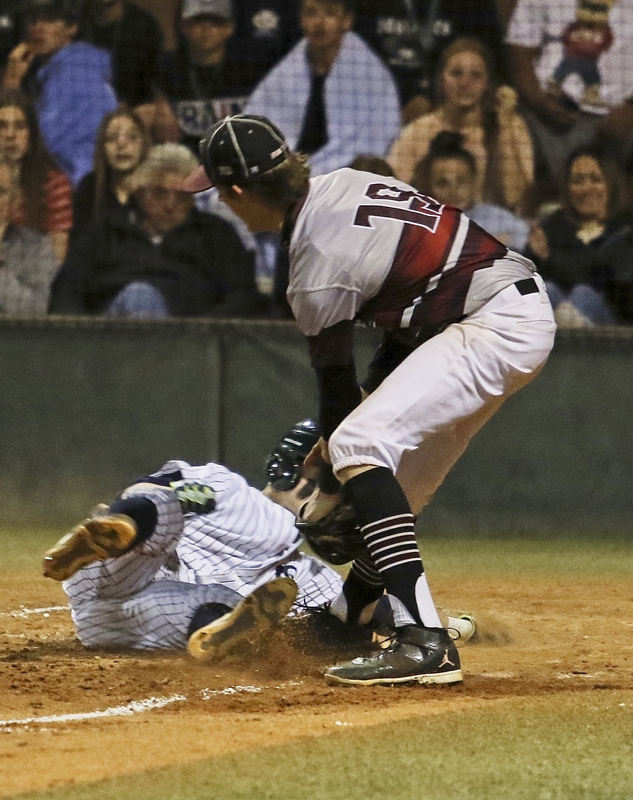 Cedar scored a run in the bottom of the first inning thanks to a double by Brunson, but Canyon View went ahead 2-1 in the top of the second when Brisin Jake hit a bases-loaded single to bring in two runs. Cedar regained the lead in the bottom of the second, with Tanner Eyre reaching base on an error by the third baseman and Bunnell coming in from third on the play. Eyre later scored on a Tyler Robinson single to give the Redmen a 3-2 lead after two. 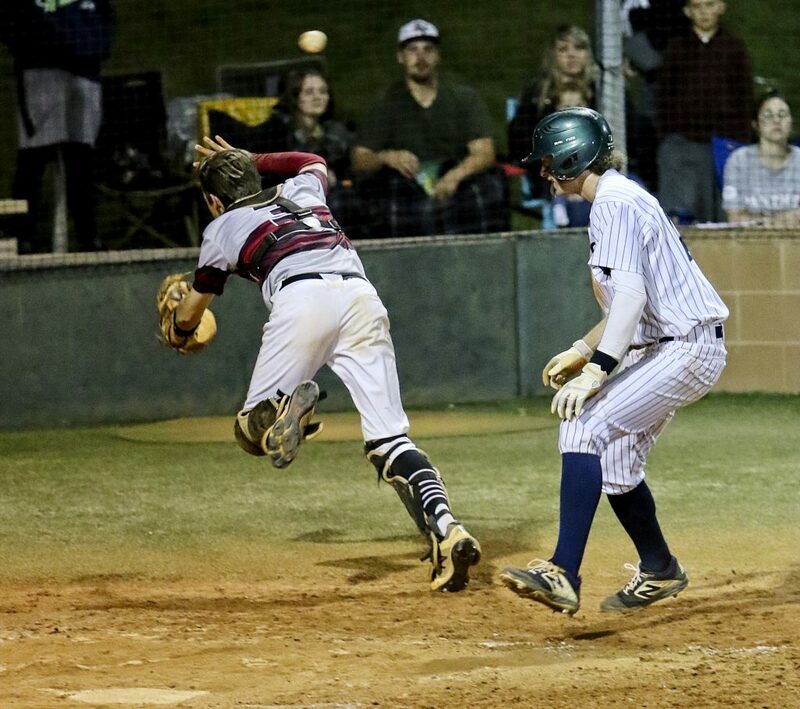 The lead changed hands again as Canyon View then scored two runs in the top of the third, capitalizing on a fielder’s choice play and a passed ball. Cedar then tied the game 4-4 in the bottom of the third. Castaneda led off the inning with a double, after which courtesy runner Talbot Weaver ended up scoring on a wild pitch. Neither team scored in the fourth, but Cedar took the lead for good by scoring three in the bottom of the fifth. 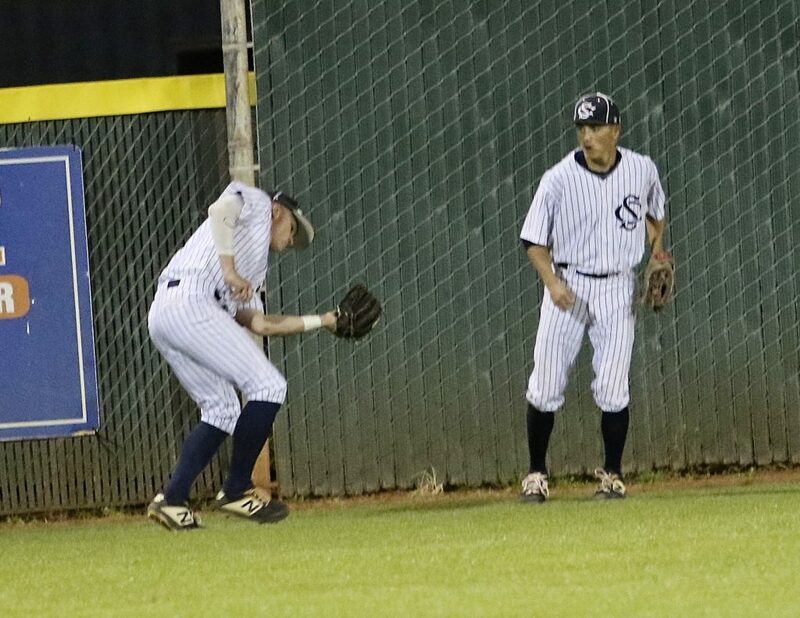 Castaneda led off the inning by getting hit by a pitch, after which Brunson walked and Teague Speakman reached base on an infielder’s error, with two runs scoring on the play. Bunnell then doubled home another run to give the Redmen a 7-4 lead. 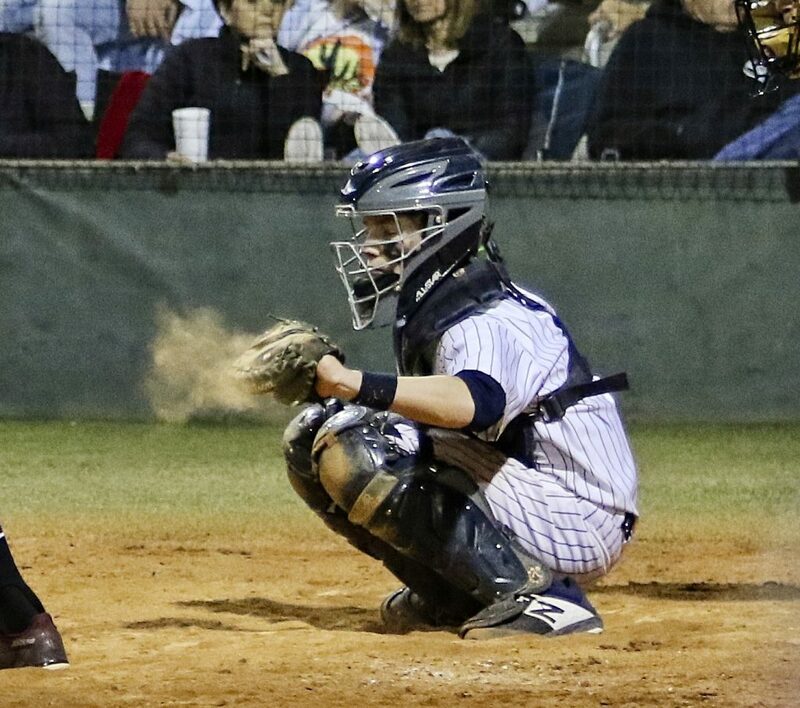 Cedar then held the Falcons scoreless in the sixth and seventh innings to secure the victory. Castaneda struck out the first two batters in the final inning and got the third one to ground out to second base. 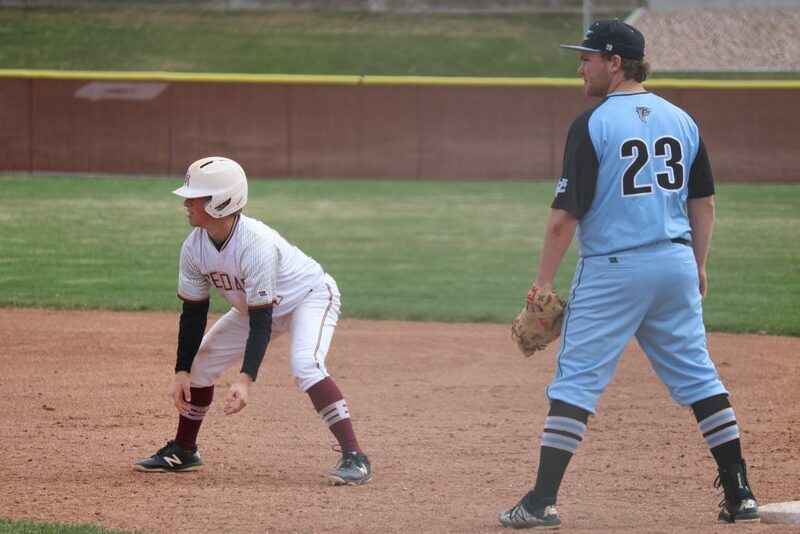 Cedar improved to 3-3 in region play with the win, moving into a tie for third place with both Pine View and Snow Canyon, which faced each other Friday night. Cedar also defeated Union 9-5 in a nonregion game Thursday afternoon, with Speakman belting a home run and driving in three RBIs. At Dixie, the Desert Hills Thunder shut out the Flyers 3-0, flipping the script on Dixie’s 3-0 win at Desert Hills three nights earlier. Both teams are now tied for first place in the Region 9 standings with 3-1 records. 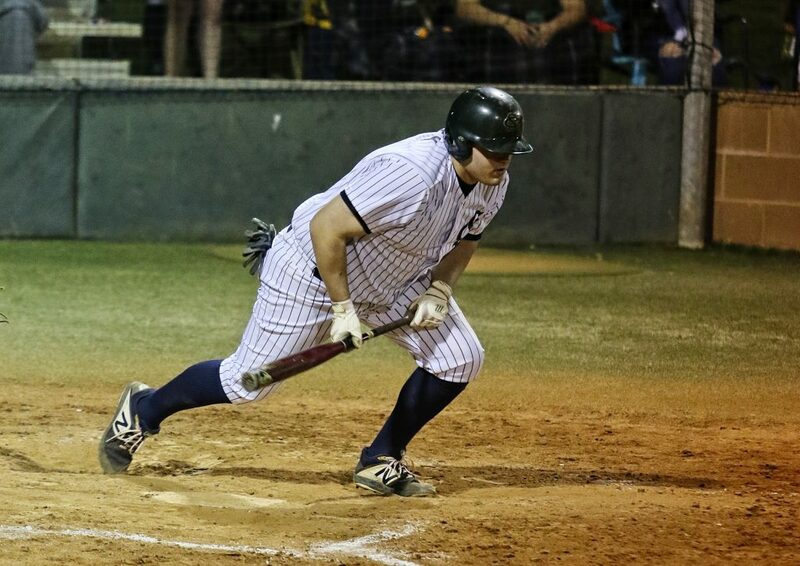 The Thunder’s first run came in the third inning on an infield error with two out, with batter Bronson Andrus reaching first base safely on the play. 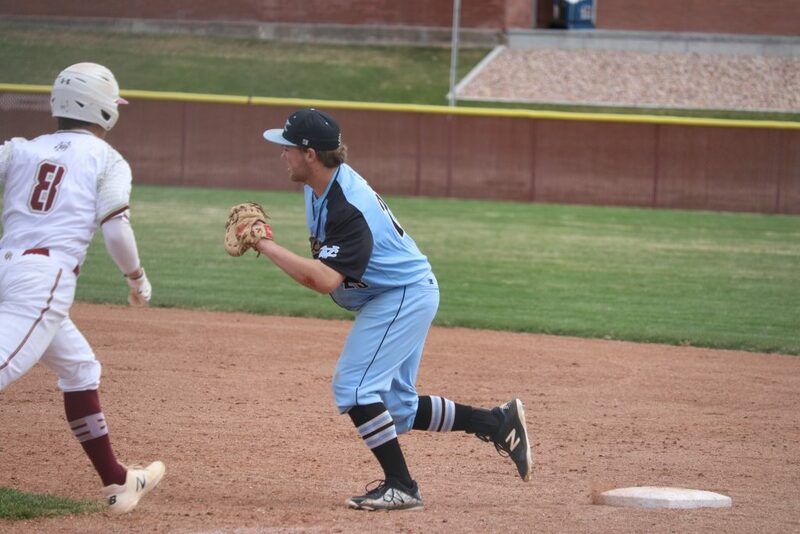 Two innings later, Desert Hills scored again, this time on a sacrifice fly by Landon Levine that scored Andrus, who’d led off the inning with a double. 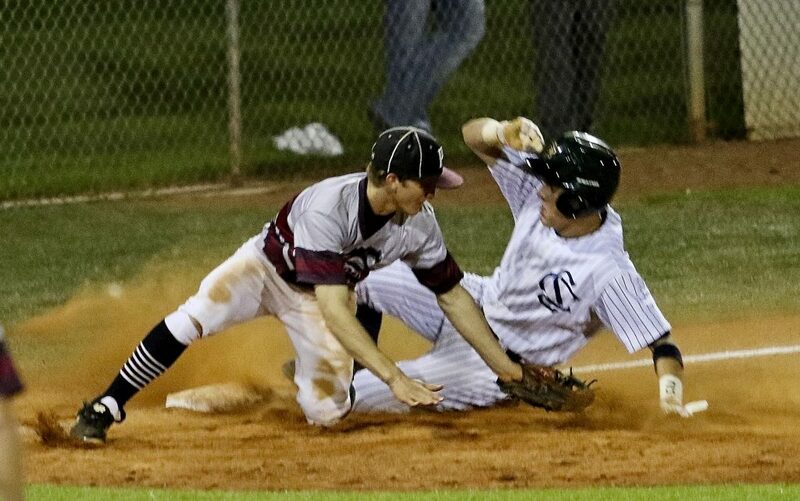 Desert Hills’ final run was scored in the top of the seventh on a throwing error made during an attempted steal of third. 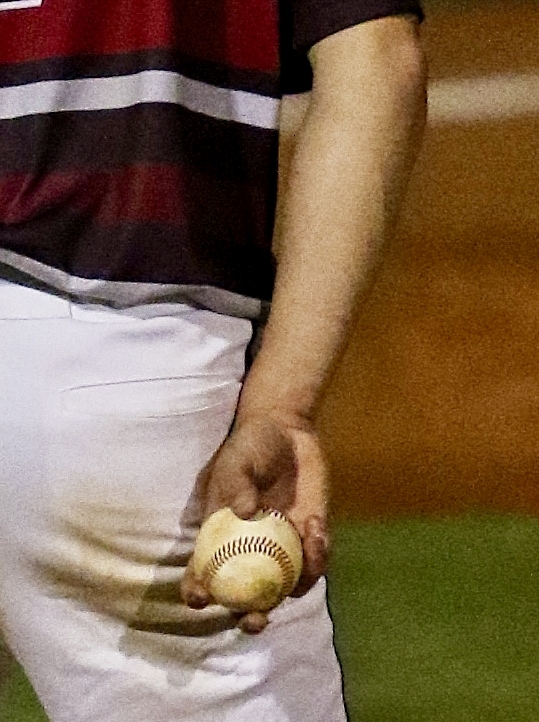 Dixie managed to get two hits in the seventh, half of its team total for the game, but came away empty handed as the other three batters struck out. 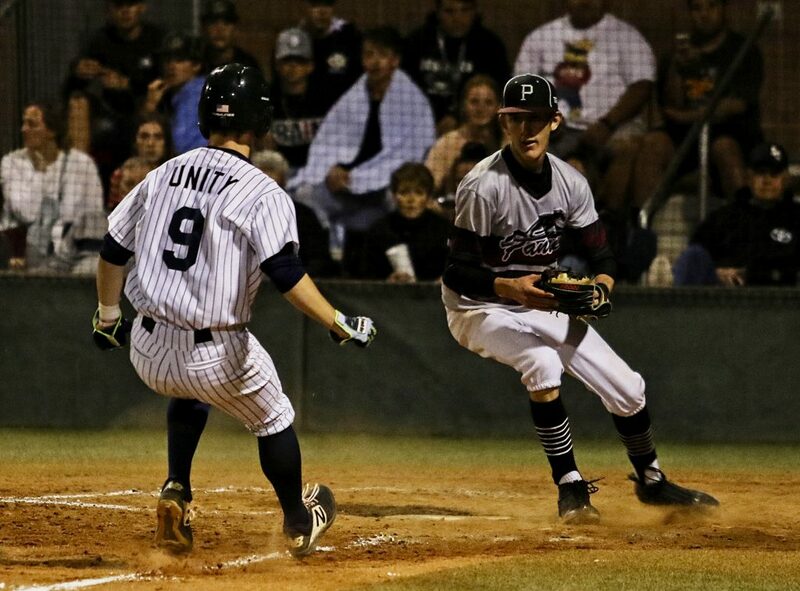 In a closely fought game that was tied after five innings, the visiting Pine View Panthers pulled away at the end for the road win at Snow Canyon. The game went late, lasting until nearly 11 p.m. 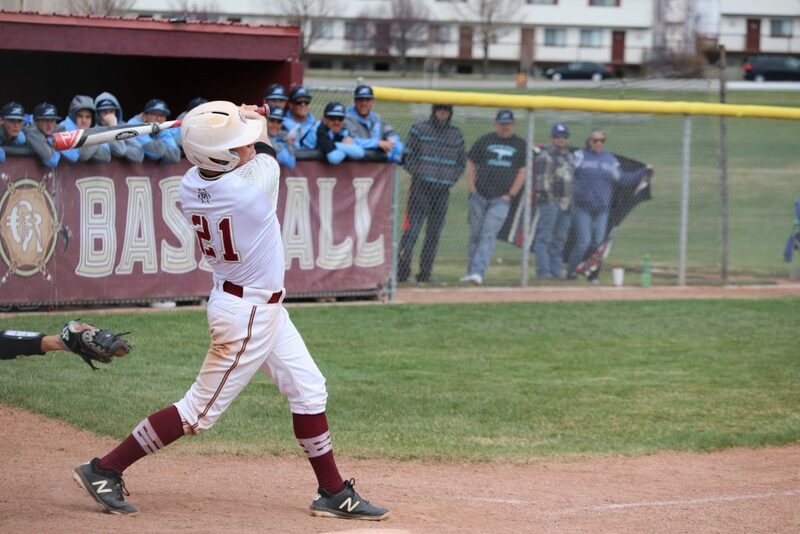 The game featured plenty of offense, with Pine View belting 13 hits and Snow Canyon hitting 12. 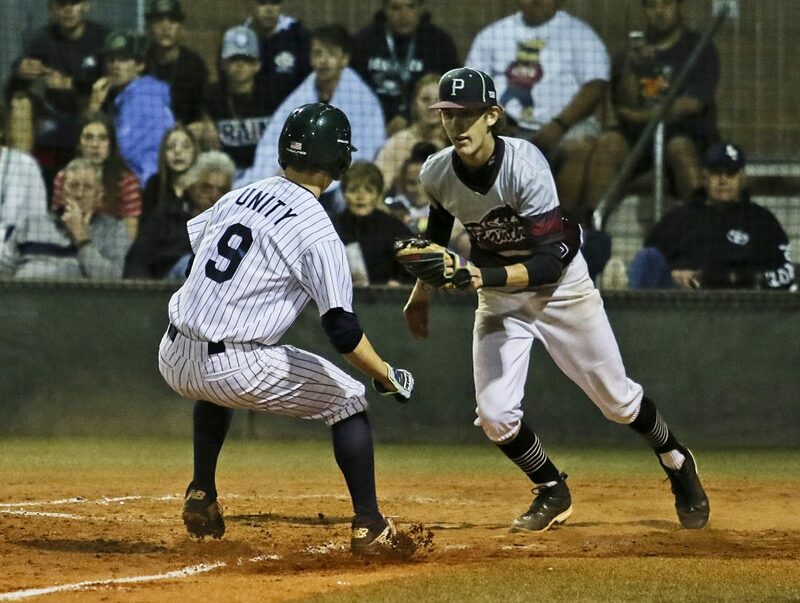 Pine View’s Hunter Stubbs hit a three-run homer in the top of the fifth to put the Panthers ahead 10-8, but Snow Canyon managed to tie the game 10-10 on a pair of successive sacrifice flies in the bottom of the same inning. 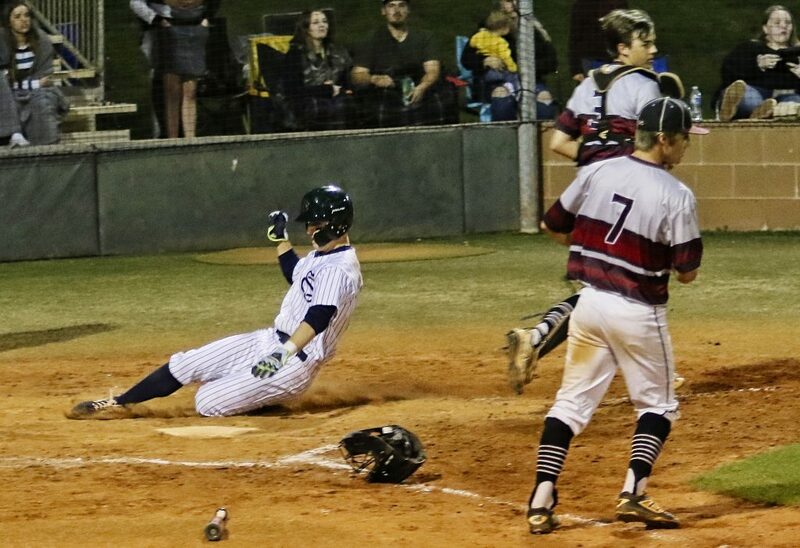 The Panthers then scored five runs over the final two innings, capped off by a single to center by Roman Lefemina that brought in Daniel Elder and Maklain Briggs. 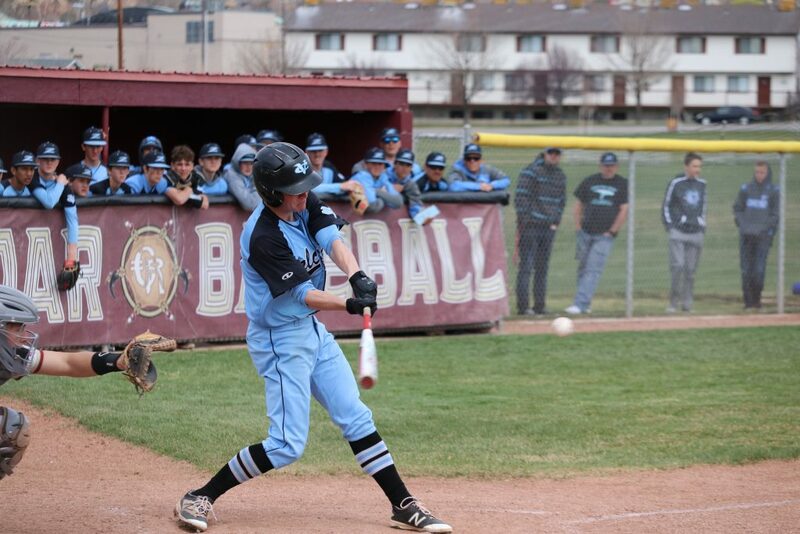 Elder finished the game with three hits, including a triple and a double. 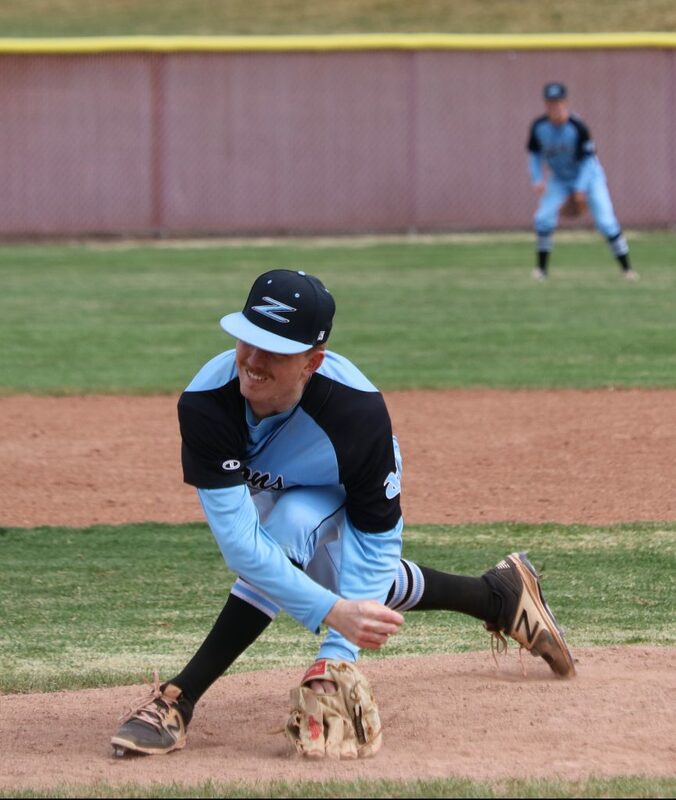 Nolan Ficklin, who was the last of Pine View’s four pitchers in the game, threw the last two innings and picked up the win. Meanwhile, Snow Canyon reliever Landon Frei, the third Warriors pitcher to take the mound, took the loss. Tuesday’s schedule is as follows: Desert Hills plays at Canyon View at 4 p.m., Cedar plays at Snow Canyon at 7 p.m., and Hurricane plays at Dixie at 7 p.m., while Pine View has a bye.